We used data and science to determine the places in Florida where everyone sleeps safe and sound. Editor's Note: This article has been update for 2019. This is our fifth time rankings the safest places to live in Florida. Do you love oranges, sunny beaches, and palm trees? What about sunshine 315 days a year? Then Florida is your place! Like fried alligator--yes, it is a thing, it is delicious, and it does taste like chicken. But, take it all in stride, because Floridians live in their swimsuits and you wouldn't want to get confused with Shamu. Floridians love for their Sunshine State doesn't stop there, they love their Disney World and Epcot Center, their Jacksonville Jaguars and Miami Dolphins, and they love that they can lay claim to the having the oldest city in America: St. Augustine. Florida is booming. The Sunshine State attracts more than 100 million visitors each year. Florida is such an amazing, safe place that families and retirees alike jump at a chance to move here and millions of snowbirds flock here every year, Some might say it's because of the blue plate specials at Denny's and IHOP, but we're pretty sure that it's all that sunshine! 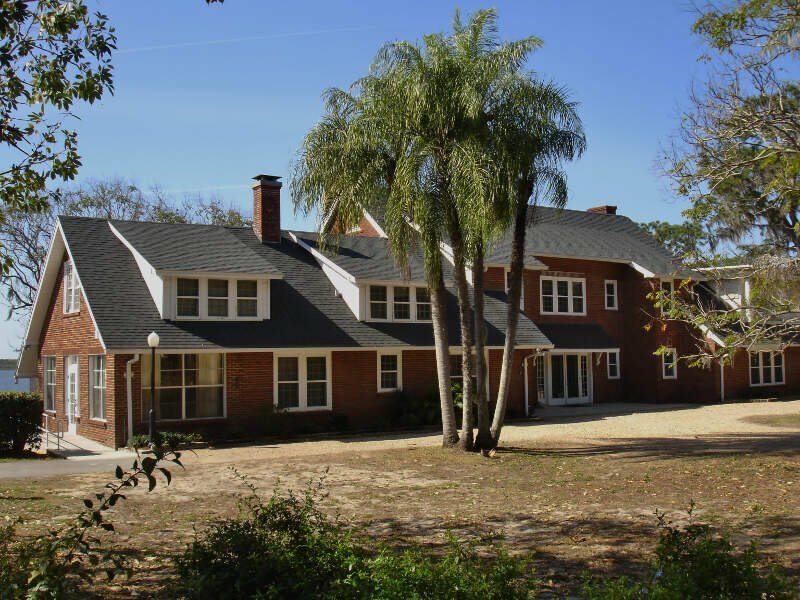 You can find every type of living arrangement in Florida. 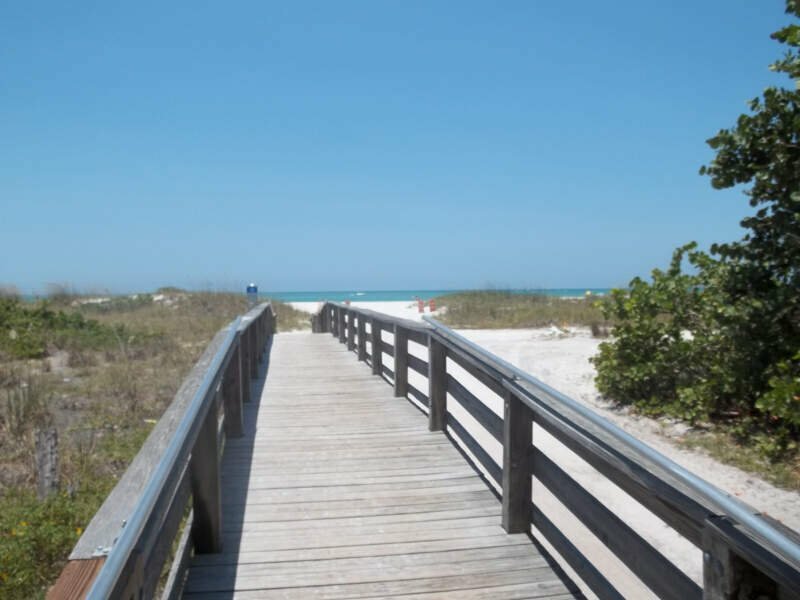 Quiet, sleepy beach towns like Vero Beach are sprinkled down Florida's Atlantic side, you can get your swerve on in cities like Miami, and lowland communities like Orlando are every Disney fanatics dream. 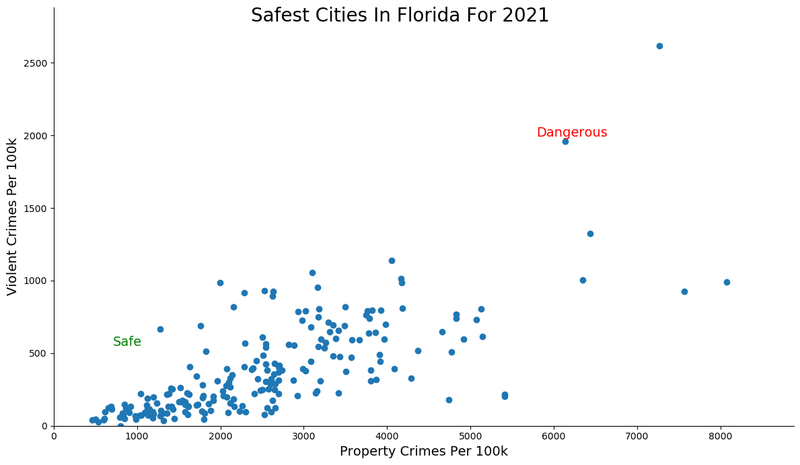 With so many amazingly safe cities to choose from in Florida, the job of deciding the Safest City in Florida 2019 had to be left to the numbers. What city is the safest place to live in Florida for 2019? Well according to the US Census and FBI data we crunched, Weston, Florida is the safest place to live in Florida. It's not surprising considering Weston's safety scored a 9/10 and it probably has a lot to do with their 8/10 employment score. More jobs = less time to be naughty. Check out the rest of our not so naughty, very safe Florida cities and see how your city ranked. Weston ranks as the safest city in Florida for 2019 based on a best in class ranking for property crime in the state. Weston is a master planned suburban community in Broward County and it doesn't rank so shabby for violent crime either placing as the 7th safest in Florida. 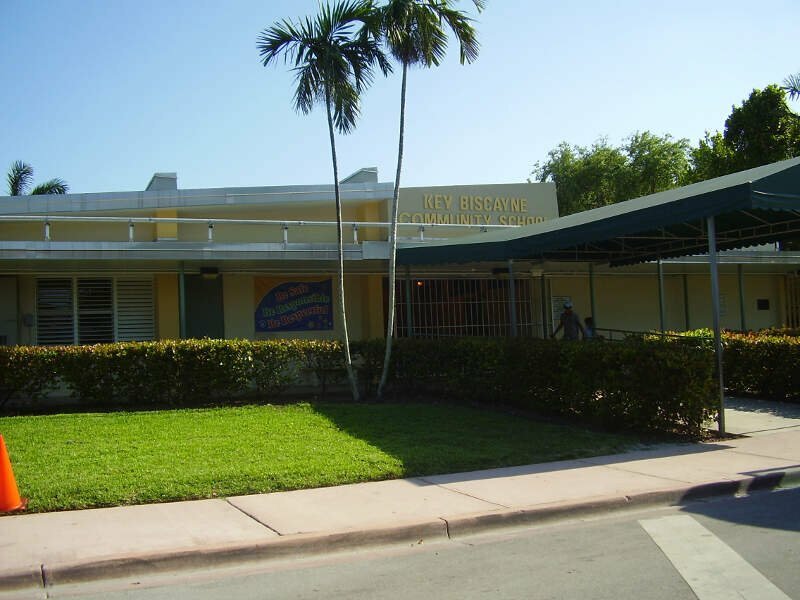 Established as a city in 1996, much of the community was developed by Arvida/JMB Realty and is located near the western developmental boundary of Broward County. It is the most western city in Broward County, and its entire west side is next to the Everglades. Little Longboat Key is a town in Manatee and Sarasota counties along the central west coast of Florida. It ranks as the 3rd safest for violent crimes and 5th safest for property crime. It's the kind of place where you can sleep safe and sound... on the beach. 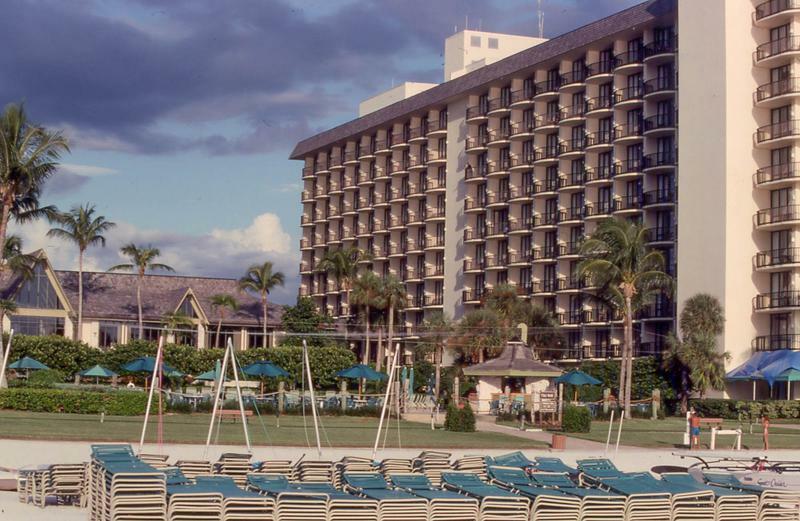 Marco Island has been a mainstay on our rankings for the last five iterations -- this place is just constantly safe. Property crime isn't a concern here as it ranks 2nd best and violent crime sneaks into the top ten. It is a principal city of the Naples-Marco Island Metropolitan Statistical Area. 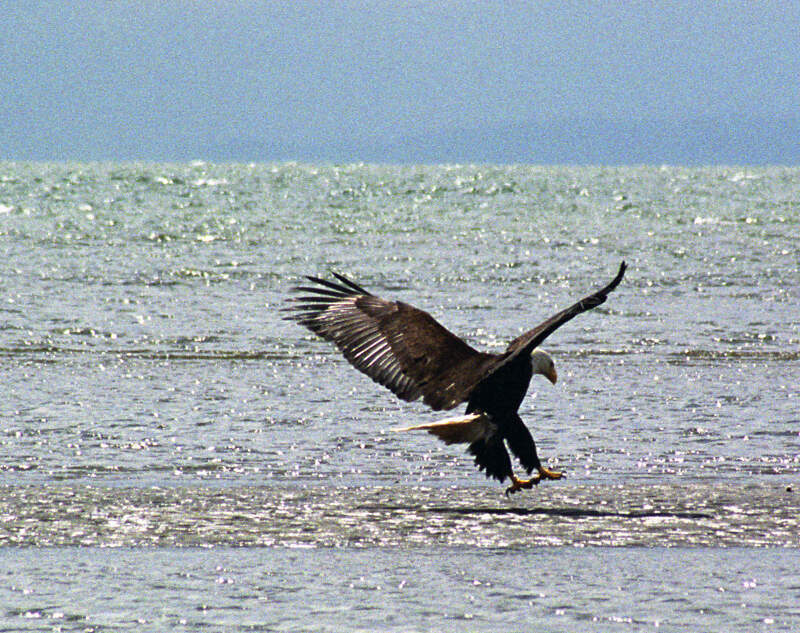 Sanibel is a city in Lee County, Florida, on Sanibel Island -- go figure. There's barely any property crime here, so no one will steal your daiquiri by the pool. 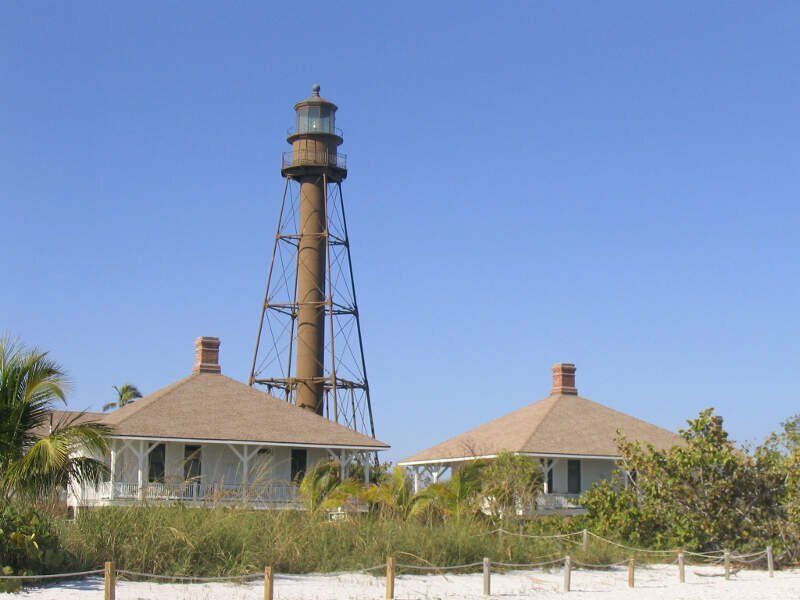 Additionally, it's good to that Sanibel is a barrier island - a collection of sand on the leeward side of the more solid coral-rock of Pine Island - or a barrier to crime. You guys are right on target about SW Florida.It is THE most boring area i've ever lived in.The whole area,from SanibelEverglades city, is dead-er than a graveyard.You'll never meet more boring people than what lives around here,and the dim lights that run Charlotte,Lee,and Collier counties like it that way. BTW...i'm 62 years old,and even I,at my age,am BORED TO DEATH living here in SW Florida...i wish i could move to LA.,or maybe San Francisco. If you're keen on being safe, maybe you should check out Key Biscayne -- an island town in Miami-Dade County, Florida. There aren't any hanging chads when it comes to us saying it's the safest city in Florida for Violent Crimes. Violent crime here is like a million times safer than the most dangerous places in the country. Well maybe not exactly, but real safe. Well, if you paid any attention to the news this year, you've heard of Parkland because of the mass shooting at the local high school. So you're probably asking yourself, wtf? Why is this here? The answer? The data is based on 2017 numbers -- 2018 numbers don't come out until October 2019. It's also a testament to how much of a surprise the shooting was here -- Parkland is a super safe community with little crime overall. 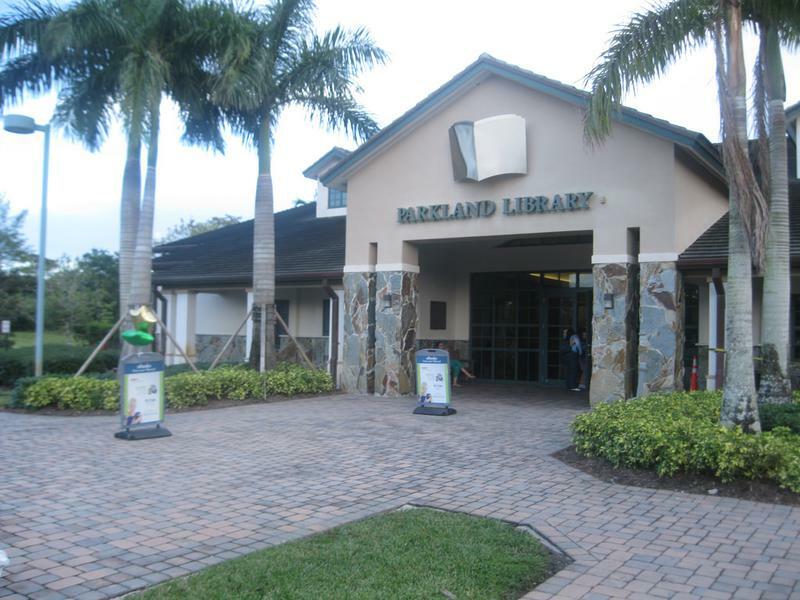 Parkland is a city in Broward County, Florida. Lake Alfred ranks as the seventh most dangerous city in Florida for 2019 according to the data. This small city in Polk County ranks second best in Florida for violent crimes per capita and 16th best for property crimes. So we think it's safe to safe that this is a pretty calm lake town. Satellite Beach is a coastal city situated in Brevard County and the 8th place finisher on our list this year. What the city lacks in property crime it makes up for in canals -- it has three for some reason. It also scores a 9.5 on our SnackAbility Score -- a feet only accomplished by 10% of towns in America. What's not safe? North Miami. The ninth safest place in Florida, West Miami reps the west side proudly in this analysis. There are few violent crimes in the city as it ranks 4th best in Florida. Rounding out the top ten is Port St. Lucia -- as Lucia would have it! 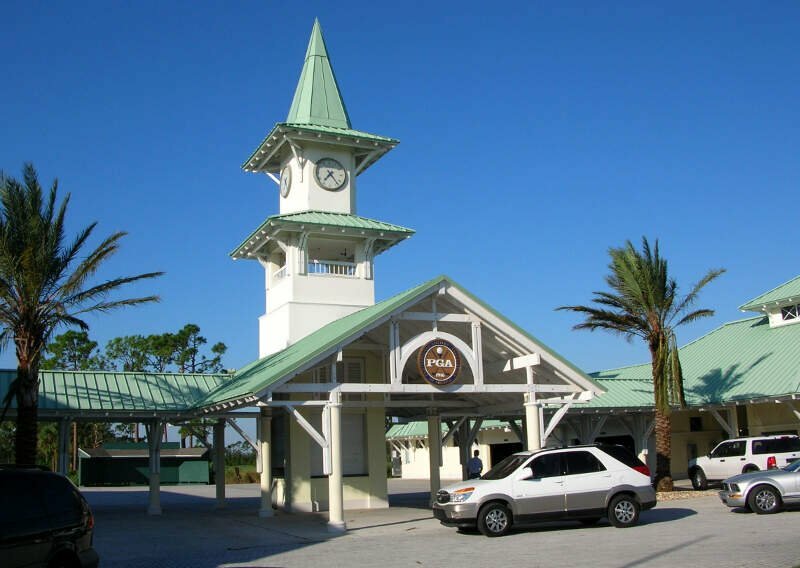 Port St. Lucie is a city in St. Lucie County, Florida and the largest in our list by a long shot -- clocking in at over 188,000 people as of the most recent numbers. For a city of its size, it has a paltry number of violent and property crimes. I hear the schools are not very good, but that wasnt my experience with my kids. Both ended up going to Univ of Florida and graduating. A lot depends on the child too. The town has received a bad rep over the years. Hopefully that is turning around, it really isnt a bad place to live. My neighborhood in St Lucie West is lovely, everyone takes really good care of their home. While there are surveys and public polls on what cities in a state are the safest, we didn't want to rely on speculation and opinion. Instead, we looked at the hard numbers from the FBI's most recent report of crime (Sept 2018) in Florida. For example, there were a total of 497 crimes committed in Weston which had a reported population of 70,796. That means the number of crimes per capita is 0.007 which translates into a 1 in 142 chance of being the victim of a crime. We only looked at cities that have populations of more than 5,000 people reported to the FBI in 2017. This left us with a total of 205 of the biggest cities in Florida to rank. We ranked each city for each criteria from 1 to 205 where 1 in any particular category is the safest. Next, we averaged each places two criteria to create a Safety Index. We crowned the place with the lowest overall Safety Score "The Safest Place In Florida". The safest city, based on our criteria, is Weston. The most dangerous city in Florida? Florida City, where residents had a 1 in 9 chance of being the victim of a crime. Looking at the data, you can tell that Weston is as safe as they come, according to science and data. But as most Florida residents would agree, almost every place here has its safe and not safe parts. So just make sure you're informed ahead of time. 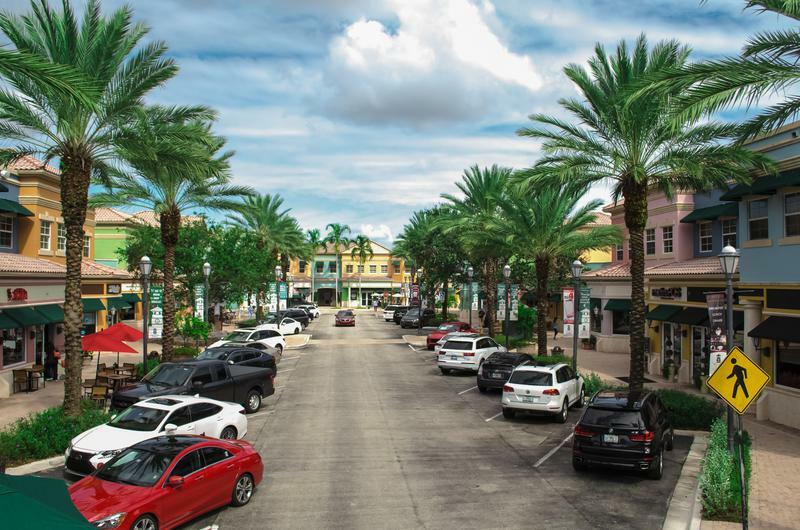 Where Are The 10 Safest Cities In Florida For 2019?